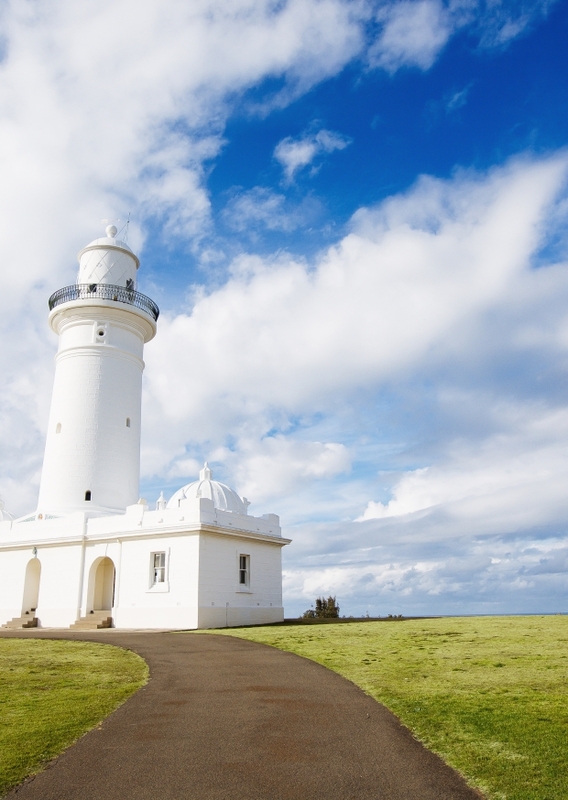 Explore Australia's first and longest operating navigational light. Take a tour to learn about the history of this remarkable place and see magnificent harbour and city views from the top. Macquarie Lighthouse was originally built in 1818, and was designed by convict architect, Francis Greenway. The stone used in the lighthouse eroded and it was replaced by the current tower in 1883. The lighthouse is still used for its original purpose - a guiding light for sailors showing the way to the harbour entrance. The 20 minute tour includes 100 stairs to the top of the lighthouse. Volunteer guides will take you through the history and workings of this historic lighthouse, ending with approximately 5 minutes on the balcony to enjoy the magnificent views. NOTE: ONLINE BOOKING FOR OUR NEXT TOUR (28 APRIL) CLOSES AT 2PM ON FRIDAY, 26 APRL. Sunday 28 April 2019 - Book now! Cost: $5 adult, $3 child/concession, $13 family (2 adults & 2 children). Booking fees apply. The tour is 20 minutes and includes 100 stairs to the top of the lighthouse. A good level of fitness and mobility is required and it is not suitable for those with heart or breathing conditions. Please wear suitable walking shoes. Tours are family friendly, children under 18 must be accompanied by an adult. For safety reasons, maximum tour numbers cannot be exceeded. You must comply with all directions of the Guides, Rangers and Security. Tours will proceed regardless of weather conditions except in cases of extreme weather. Participants will be notified via SMS if the tour is cancelled and a full refund of the ticket price (less booking fees) will be made. Access to the balcony is subject to weather conditions. Aboriginal and Torres Strait Islanders are advised that this tour contains stories and may contain images of deceased people.